Arsenal left-back Nacho Monreal is reportedly keen on a transfer to Barcelona after a somewhat surprise approach from the Catalan giants. According to Don Balon, the Spaniard has already held initial talks with Barca chiefs in London over a return to La Liga – something he’d be keen on even if he’s only offered a bench role at the Nou Camp. The report explains that Monreal could be available on the cheap, around £8.5million, which is certainly a bargain for a player of his quality. Despite not exactly being a world class performer at any point of his career, Monreal has been one of Arsenal’s most consistent and reliable players since he joined the club. The 33-year-old may now be looking for one last big move, and a backup role at Barcelona could be ideal for both parties. Barca sold Lucas Digne to Everton this season and lack much of an alternative to Jordi Alba. 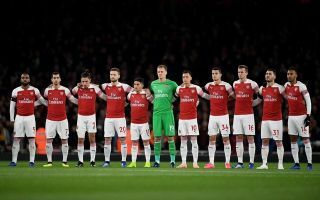 If they manage to snap up Monreal, their squad would undoubtedly be in a strong shape next season, though Gunners fans might not be too pleased to see something of an Emirates Stadium favourite leave.